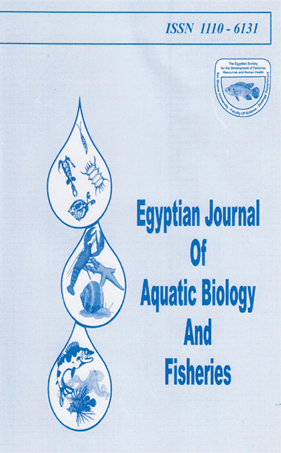 Seasonal Distribution of Epipelagic Copepods at the Different Habitats in the North-Western Red Sea, Egypt. Abdelmeneam B. E. B. E.; Ahmed, M. I. Ahmed, M. I.; Madkour F. F. Madkour F. F.; Hanafy M. H. Hanafy M. H.
Molecular and biometric characterizations of the Western king prawn Melicertus latisulcatus (Kishinouye, 1896) in the Egyptian Red Sea. Scanning Electron Microscope of Sclerodistomum aegyptiaca n. sp. (Digenea, Sclerodistomidae) from the Marine Fish Saurida undosquamis from the Suez Gulf, Red Sea, Egypt. Induced spawning in the sea cucumber Holothuria atra from the Egyptian coast of the Red Sea.